Winton Porter: "Guru of the Appalachian Trail"
trading post at Walasi-Yi [a Cherokee phrase that may mean “place of the great frog”], but now better known as Neels Gap. The facility was completed in 1937 by the Civilian Conservation Corps. 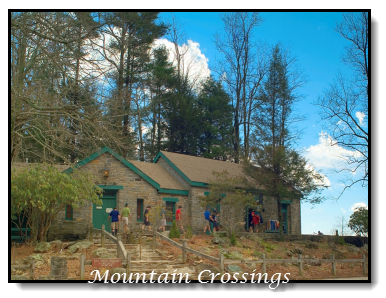 Mountain Crossings serves about 2000 hikers yearly as they make their way along the trail. Winton Porter, with the help of wife Nancy, regaled the November 2011 meeting participants of the Lumpkin Historical Society with stories about some of the remarkable folks that have passed through there over the years. 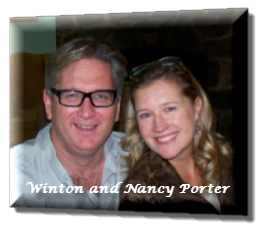 In 2001, at the age of 35, Winton took the plunge by becoming the proprietor of the Mountain Crossings store. Since then, he says he’s been on a permanent vacation helping hikers as they come his shop’s way. For many he not only is able to help lighten their load by an average of 12 pounds but also offers words of encouragement for the big trek ahead. Porter says that he returns home about 9,000 pounds of excess gear yearly. 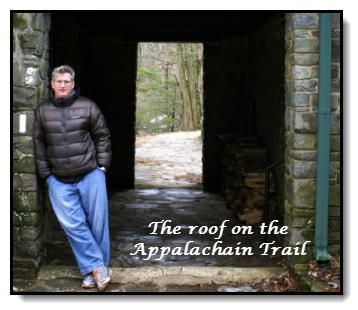 Known as the ‘guru of the Appalachian Trail,” Winton has an eye for detail and documents many of these extraordinary encounters in his first book, Just Passin' Thru. It’s some of these remarkable vivid stories that kept us all entertained. The hiker stories are as varied as the reasons why they decide to embark on 2,178-mile walking journey. Some are poignant such as Carol with terminal cancer but living a dream. Some are weird like the one about Lefty, the man with only a right hand. One is of depraved, dangerous mindless cruelty when killer Gary Hilton stopped at Mountain Crossings to look at rain gear before beating Meredith Emerson to death. Winton Porter, "Guru of the Appalachian Trail." 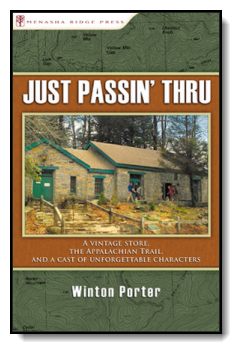 Winton’s book, Just Passin’ Thru: A Vintage Store, the Appalachian Trail, and a Cast of Unforgettable Characters is available at Minisha Ridge Press.